WOW, what a week! The election this year will be unlike any election we have ever had in Lakeway. Let's look at the actual election issues first. Issue 1. 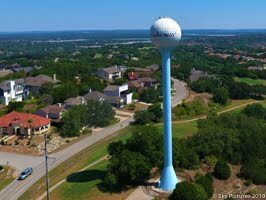 When Council Member Hennigan signed up to run for Mayor, it started a sequence of events that is a first for Lakeway. Since we moved to three year terms four years ago, there are new rules that come into play. Some of the rules in the City Charter are superseded by the Texas State Constitution. The filing for mayor effectively initiated the "Resign to Run" rule and was a resignation from her council seat. Not to worry, the Constitution also provided that the incumbent continues to serve until replaced by the election. Since it was more than 12 months from the end of her term, the Constitution requires council to call a special election to fill her seat within 120 days of the resignation. “Any vacancy or vacancies occurring on such governing body shall not be filled by appointment but must be filled by majority vote of the qualified voters at a special election called for such purpose within one hundred and twenty (120) days after such vacancy or vacancies occur." The Constitution is not real clear if just the election needs to be called or if it needs to be held within the 120 day period, but there is an Attorney General Opinion that says it needs to be held in that window. Council will meet with our attorney and make that decision Monday evening at the Council Meeting. The 120 day window just happens to fall on June 16th, which is also the scheduled date for a runoff election if needed. Hold that thought. This would be scheduled on June 16th - possibly at the same time as the election to fill Council Member Hennagin's seat. There are also questions on how the runoff election would work. The mayoral runoff (if needed) would be pretty straight forward - the top two candidates would be in the runoff. We are not sure how the council race will be handled. There are also questions about who can run in the race for Council Member Hennagin's seat since there is a parallel race and conflicting filing periods by state law. Staff and the city attorney are working closely with the Secretary of State (SOS) who is the final authority (other than the Supreme Court) on election issues. Council will meet in regular session Monday evening, April 16th. Here is a link to the agenda and the council members packets. Item 7 is a request for an amendment to the preliminary plan for Lakeway Medical Village (Hospital District). They are requesting relief from impervious cover requirements in return for improvements. Recommended by ZAPCO with restrictions. Item 10 - Discussion of method of appointment for Comprehensive Plan Committee. The committee size and makeup is set, but no method of selection has been settled on. The rest of the items are pretty standard. Council and ZAPCO met in a joint workshop for a briefing on changes to the sign ordinance. Interesting discussion. There are changes made by the Supreme Court that overrule some of our sign ordinances. The attorney has been working on this for some time and is one reason we did not restrict times on placement of political signs this year. We do still have the authority to restrict signs in the "Right of Way" and Code Enforcement is actively enforcing those rules. It appears the city can enforce the number of signs and size (we are talking residential here, commercial has not changed) and the current feeling is that realtor and property for sale signs are commercial and will be limited to current restrictions (pamphlet box, one per property). As far as other residential, the number and size can be restricted and will be forthcoming at a later date. Meet the candidates was held by the LCC Thursday evening at the Activity Center. It was live streamed and recorded - here is a link. Please watch the candidates and listen to their answers. This is an important election, a lot of candidates. Take the time to understand the issues and make a good choice for the future. LPD Officers conducted 203 traffic stops, responded to 11 alarm calls, handled 12 animal calls, responded to 10 collisions, answered 33 suspicious circumstances calls, completed 2 mental health calls, and handled 138 other types of calls for service for a total of 409. Routine traffic stops resulted in the following charges; Driving while License Suspended X 1, Driving under the Influence X 1,Possession of Marijuana X 1, and Possession of Drug Paraphernalia X 4. Officers responded to RR 620 S. in reference to a Tractor Trailer that was causing damage while driving on RR620. Upon arrival officers found the truck was oversized and had damaged the traffic light at RR620 and Aria. Officers stopped the vehicle and found they had a permit for transport of the load. The lift truck leading the oversized load had damaged the light. The Texas Department of Transportation responded to fix the traffic light and invoiced the trucking company who is responsible for the cost of repairs. Officers responded to a RR 620 S. business for a report of reckless damage. Officers learned that a vehicle parked in the lot was damaged. Apparently a child inside of a car parked next to it opened the door and struck the vehicle. The occupants exchanged insurance Information and no charges were filed in this case. Officers responded to a Sailmaster Street address in reference to an assist EMS call. Upon arrival, officers observed EMS personnel working on a subject lying on the ground. A subject driving by had noticed the victim lying on the ground; he stopped to help and called 911. EMS was able to revive the victim, treated him for a possible drug overdose. The subject was transported to the hospital for further treatment. No charges were filed in this case. *** UPDATE *** Detectives were assigned to investigate a report of a Theft that occurred in 2016 in the 100 block of Burgess Cove. According to the victim, an unknown suspect stole several high-end and valuable watches from her residence while she was out of town. Detectives have since been able to identify the suspect and the pawn shop the watches were later sold to. Detectives collected enough evidence in the case to secure an arrest warrant (Theft, 1st Degree Felony) for the suspect who remains at large. Detectives were assigned to investigate a report of a Theft that occurred in the 900 block of Vanguard. According to the victim, he noticed some personal property missing from his residence following some plumbing work he had done in his residence. Detectives are collecting evidence in the case which remains active. Detectives and CST personnel responded to assist patrol officers with a report of a residential burglary in the 100 block of Sailfish. According to the victim, some unknown suspect(s) entered his residence without consent and stole several items. Detectives are in the process of processing the evidence in the case which remains active. Detectives were assigned to investigate a report of Stalking in the 100 block of Lido Circle. According to the victim, she has been receiving multiple harassing and threatening communications from a former personal acquaintance. Detectives are in the process of collecting additional evidence in the case which remains active. Detectives were assigned to investigate a report of Deadly Conduct in the 100 block of Lakeway Hills Cove. According to the complainant, a former tenant at this location caused a large amount of damage inside the residence with a firearm. Detectives are in the process of collecting additional evidence in the case which remains active. Week number eight of the Citizen’s Police Academy was held at the police department. The participants used the firearms training simulator to ‘stamp out crime’ on the big screen. They also engaged in a DWI class and a driving simulation scenario where they wore googles to simulate intoxication and had to drive a golf cart on a course. The simulation allows for people to witness the effects of intoxication on your vision and reaction time in a controlled environment. That's all for right now. I will post any more final info as I get it - most likely next week. Have a GREAT weekend and enjoy the Spring weather. If you would like to be added to my email list (or removed) send a note to lakeway@bain.us and I'll take care of it!